Friday, March 15, 2019 - The program was be by Erik Gensler who grows many Echeveria agavoides. He selects different strains of them for various characters, with different patterns of color in the leaves. Then he makes seeds of them and grows new plants. Many of the plants are very spectacular. They are very well adapted to growing in NM. Our cool nights, during most of the year, really enhances the colors. Friday, February 15, 2019 - Oleg Lagutin talked about his trip to South Africa last year. He focused on all the many kinds of miniature bulbs in habitat and also showed and discussed many other succulents like Haworthias, Adromischus, Aloes, the Stapelia family and some of the thousands of kinds of living stone type plants as well. A picture gallery shows a few examples. Friday, January 18, 2019 - Woody Minnich talked about the Cacti of Chile. He showed photos from his 5 trips to Chile . The Atacama Desert is the driest region on earth, with rainfall amounts of just a few hundredths of an inch annually. This with fog supports a rich cactus flora of genera like Copiapoa, Neoporteria, Eriosyce and Eulychnia, among others. This photo gallery shows a few plants from this area. Friday, November 16, 2018 - Steven Brack talked about some recent trips to southern NM and far north Chihuahua and showed the cacti and other xeric plants that grow there. The 2 most significant plants shown are Echinocereus chloranthus v. rhyolithensis and Echinocactus parryi. Friday, October 19, 2018 - Jim Hastings, the Gringo Gourmet from El Paso talked and prepared a dish using Opuntias. Among his favorite dishes is rajas Poblanos (chile strips), pan roasted corn and garlic and chicken broth for a great soup. Saturday - Monday, September 1-3, 2018 - We hosted a Cactus & Succulent Show, Demonstrations, and Presentations at the Albuquerque Botanic Garden. This link has more information about the show and the Albuquerque Botanic Garden. Checkout the picture galleries of the shows. Friday, August 17, 2018 Our speaker was Ralph Peters who talked about the beautiful scenery and interesting plants of NW New Mexico and Eastern Arizona. Some of the scenery includes Angel Peak, Pastora Peak and Canyon de Chelley with plants like Coloradoa (Sclerocactus) mesae-verde, Pediocactus knowltonii (which grows only on one hill in NM), Toumeya papyracantha and the elusive Pediocactus simpsonii of NE Arizona. Friday, June 16, 2018 - Our program, by Lisa Mandelkern from Las Cruces, was about the cacti of southern NM. Many species of cacti are native to southern NM. The good news is that almost all of them are quite easy to grow in an outdoor cactus garden in the Albuquerque area. Some kinds need a sheltered area to protect them from winter's cold. 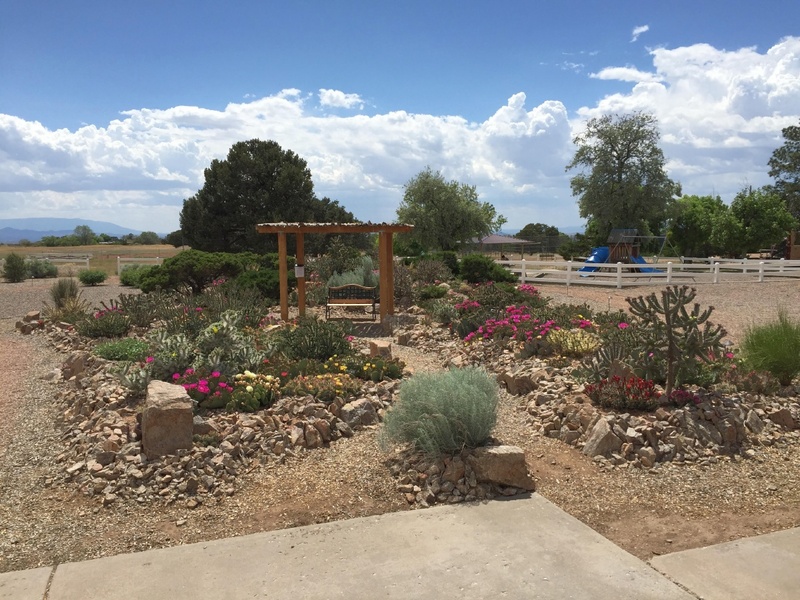 Saturday, May 12, 2018 - We visited 3 gardens in the NE Heights of Albuquerque! Friday, March 16, 2018 - Our speaker Jeff Thompson, from Pueblo CO, talked about cold-hardy cacti and had some plants to sell. February 16, 2018 - Kelly Griffin gave a program on the Cacti and Succulents of Chile. Chile is rich with cacti, with spectacular Copiapoas, Eriosyce and Neoporterias dominating the cacti. There are also many types of columnar cacti including Trichocereus and Eulychnia. Succulents include Calandrinia that are small herbaceous plants with colorful flowers. Kelly explores the world for plants to introduce for Altmann's Specialty Plants, a very large cactus and succulent nursery based in Vista, CA. January 19, 2018 - Steven Brack presented a program on Cultivation & Germination of Pediocactus, Sclerocactus and Toumeya. A picture gallery shows some of these plants in flower and as seedlings. November 17, 2017 - Doug Dawson from Phoenix talked about the genus Lithops:The Wild and the Tame (living stones) from South Africa. A picture gallery shows a tiny sample of these beauties. October, 20, 2017 - Ralph Peters talked about a backpacking trip to Thunder River in the Grand Canyon. He saw lots of nice scenery and interesting plants. Check out the picture gallery! September 1-4, 2017 - The CSSNM held an educational exhibit at the Albuquerque Botanic Garden over the Labor Day Weekend The club had a live plant exhibit, special presentations & demonstrations, and a Kactus Kidz corner, all designed to educate the public about these beautiful and unique plants. Presentations included slide shows on how to use cactus & succulents in the landscape, a how-to presentation on the edible prickly pear with information on nutritional values, and planting a cactus garden. Demonstrations included one on potting, dividing & repotting these plants. Under the Big Green Umbrella the Kactus Kidz held forth with fun activities including three different games with prizes and handouts to color for the younger set. The live plant exhibit included free copies of approximately 40 CSSNM "how-to" publications also found on this website. Several galleries show some pictures taken by members and some of the 2000 visitors who attended the educational exhibits. August 18, 2017 - Marcia Tatroe from Denver talked about hardy rock gardens and provided a handout! June 16, 2017 - Kelly Griffin talked about Agaves in habitat. May 19, 2017 - Steve Lovecky presentated Stuck on Texas Cacti. March 17, 2017 - John "Obie" Oberhausen presented Cactus Rescue Project/Creating a Cactus Community which was be about the goals of Cactus Rescue Project and what efforts have been done to promote the use of cactus. It discussed how various gardens were built and are maintained. Also included was the variety of plants now being used in the gardens and in the local community. Friday, February 17, 2017 - Regular meeting. Ian Latella talked about Lizards of NM. He has done ten years of field work on the reptiles of NM and recently completed his Master's at UNM. Friday, January 20, 2017 - Woody Minnich talked about Socotra which is a desert island in the Arabian Sea. It has many interesting plants, places and people; a sample may be seen in a gallery of pictures. Friday, November 18, 2016 - Bill DellaRocco gave a presentation on "How my Cactus Guru from Minnesota developed techniques to enable strong growth and bloom in the cool and dreary state of Maine". It generated a lot of discussion. Friday, October 21, 2016 - Our program was Random Musings and Meanderings About Cacti and Growing Them by Siegfried Lodwig. Sig commented: "I’ll bring in some show-and-tell plants. No pictures. I invite anyone and everyone to bring in their own plants, with questions and/or comments. We, the club, don’t do enough of just looking at and talking about plants at our meetings. We have a profound depth of expertise among our members. We need to do more to share this out among all of us. Some smart person once said: The only stupid question is the one you don’t ask." Check out Sig's plant pictures in galleries at the CSSNM website. Friday, September 23, 2016 - Ralph Peters talked about the minature cactus, Pediocactus knowltonii (see photo below), and its history. It is found on only 1 hill in New Mexico near the border with Colorado. It was re-discovered by the CSSNM after the original discoverer (Fred Knowlton) was killed in a house fire. Saturday, August 27, 2016 at Noon. We visited John Oberhausen's gardens near Eldorado, NM (a bit East of Santa Fe). Directions ... I-25 north about 5 miles past Santa Fe to exit 290 (Lamy and Clines Corner). Stay to right to head south on US-285. First traffic light(about 1/2 mile) make a right onto Avenida de Amistad. Follow about 1 mile and the community center parking lot is on the right. Head towards the large windmill and park. By then you can't miss it! The address is 1 Hacienda Loop. Friday, June 17, 2016 - Sig Lodwig talked about grafting cacti. Grafting is used to quickly grow difficult plants and salvage plants that have problems. He demonstrated the process of grafting using super glue jel, discussed the details and pitfalls, showed some pictures, brought grafts of various ages to inspect, etc. Saturday, May 21, 2016 - Garden Visit! Last year, Margaret Todd and Donna Behme did a presentation for the club about their landscape which incorporates many cold-hardy succulents and cacti as well as other garden/plant goodies. They had a garden visit. Saturday, May 14, 2016 - Field trip to Mesa Garden in Belen NM! Friday, March 18, 2016 - Steve Brack did a program on South Africa. His last trip was in August 2015, which is late Winter/early Spring there. The Winter rains had been very good, so the deserts were just overloaded with succulents and daisy types in full flower. He has never seen anything like this before with huge expanses of flowers, and a lot of wildlife out eating the flowers. Various antelopes and zebras were stuffing themselves on all the soft growth and flowers. This will be a fun show of bulbs, succulents, annuals, and all sorts of wildlife. Friday, February 19, 2016 - Oleg Lagutin talked about growing cacti and succulents in Russia; specifically what kinds of plants they grow, and how they grow them. Friday, January 15, 2016 - Woody Minnich gave a presentation entitled "Mexico, The Hidden Treasures of Coahuila." Woody is well known for his beautiful presentations containing lots of pictures of the scenery and people, as well as the plants. Friday, November 20, 2015 Ralph Peters talked about the fantastic scenery and interesting cacti of Northern Arizona region. Five cacti species are found only in Northern AZ and 2 more cacti species are found only in Northern AZ and within a few miles of the Arizona border. A number of other "taxa" -- species. varieties, or ?? are found only in this region. The "common" plants are pretty amazing too! Friday, October 16, 2015 Ian Latella, a graduate student for the UNM Biology Department, gave a presentation on the snakes and lizards of New Mexico that we may encounter when looking for cactus and succulents. He discussed basic details off their natural history and identification of the species. August 21, 2015 Grey Gustafson from UNM talked about Cacti/Insect relationships. Some insects kill many of our local cacti. In particular, Moneilema semipunctatum (cactus borer beetle -- http://www.cabi.org/isc/datasheet/120558) is a signicant threat to many local cacti including Sclerocactus. During a recent visit to Scl. mesae-verde habitat in SW Colorado, Ralph Peters saw that about half of the large plants were infested with larvae; most of them will probably die from the borer's damage and the associated bacterial infection. Friday, June 19, 2015 - Margaret Todd and Donna Behme talked about the landscaping at their house. Very briefly, their landscape is oriented toward pollinators (bees, butterflies and hummers). It is also bird friendly. It features native and adapted plants, with cactus & succulents being a major part of the landscape. They are not just an after thought as in so many landscapes -- in their landscape they are a feature. 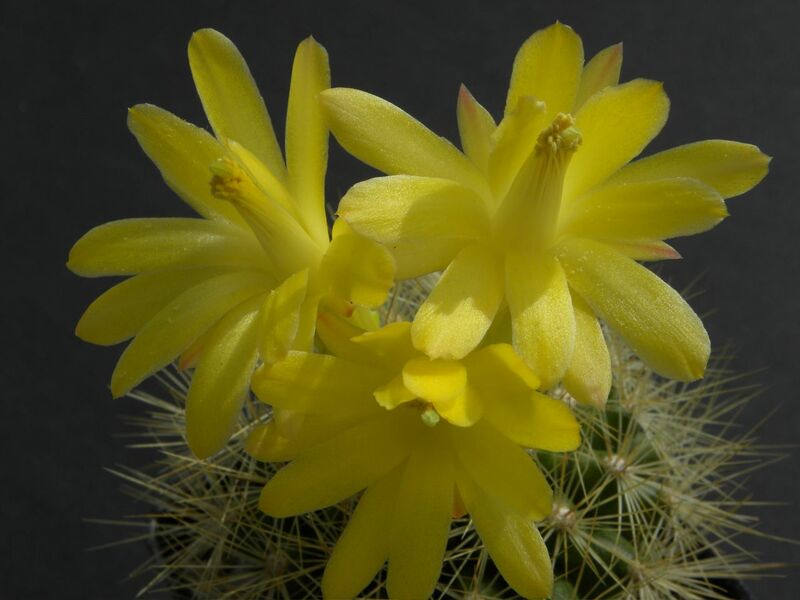 Friday, May 15, 2015 - Sig Lodwig presented a program which showed flower pictures of the very many small cacti that are easy to keep in limited space. It?s possible to have cactus flowers from this group any time of the year. The talk is divided into Spring, Summer, Fall and Winter. Sig brought in some plants now in flower. A sample of his photographs may be found in his picture galleries. 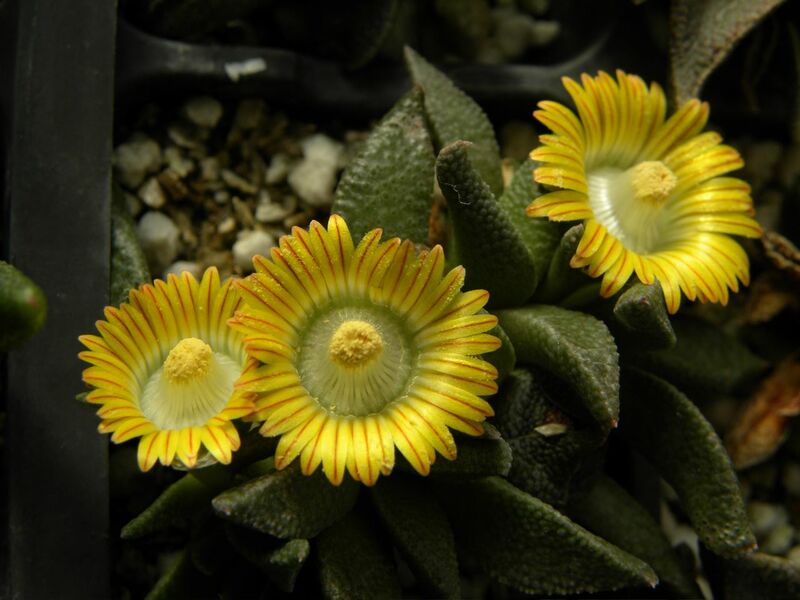 Friday, March 20, 2015 - Steve Brack showed many pictures of the vegetative bodies (NOT FLOWERS) of Lithops. Understanding how and when they grow is critical to the successful cultivation of these fascinating living stones. Friday, February 20 - Dave Ferguson gave a talk focusing on the classification and evolution of the family Cactaceae, primarily in the context of how it relates to other families, but also within the family itself. This gave some insight to some questions people might have in the back of their minds, such as - for instance - why some things that seem very different can be grafted onto one another, and grow. January 16, 2015 - Oleg Lagutin presented the program on the genus Haworthia. His talk covered the plants in the genus, and the cultivation they need. He also talked about pollination and seed prodouction, and growing them from seed. He provided a few Haworthia pictures. He is starting a nursery. 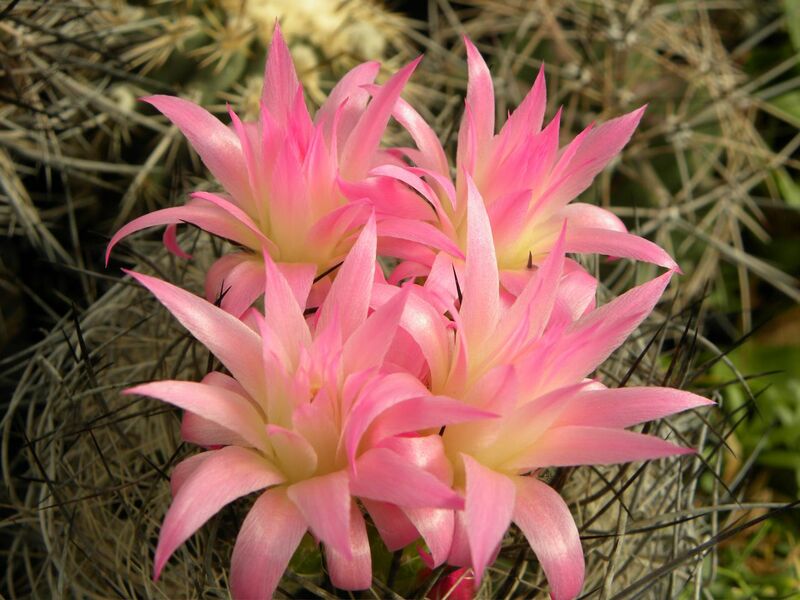 November 21, 2014 Ralph Peters talked about the cultivation of Pediocactus, Sclerocactus and Toumeya plants including germinating them from seed and growing them from tiny seedlings to flowering plants. These 3 genera grow in our area and have fantastic forms and flowers. They also have a reputation of being difficult to germinate and grow. The link above shows some seedlings and mature plants and the presentation contains more info. October 17, 2014 - Joyce Hochtritt of J&J Cactus and Succulents talked about oddities of the cactus and succulent world; these include variegated plants, various "monstrose" forms, cristates, and the like. Joyce brought some show and tell plants and a few sale plants. August 15, 2014 - Leo Chance from Pueblo Colorado presented Ideas for Albuquerque Gardens. He is the author of the book "Cacti and Succulents for Cold Climates: 274 Outstanding Species for Challenging Conditions" which is available at Amazon and other book sellers. June 20, 2014 - Penny Hoe and Martha Parker had a program on Hardy Sedums for Albuquerque. Penny and Martha showed photos and discussed cultivation of sedums that are evergreen ground covers, non-evergreen groundcovers, and tall, late-blooming sedums often used as specimen plants. 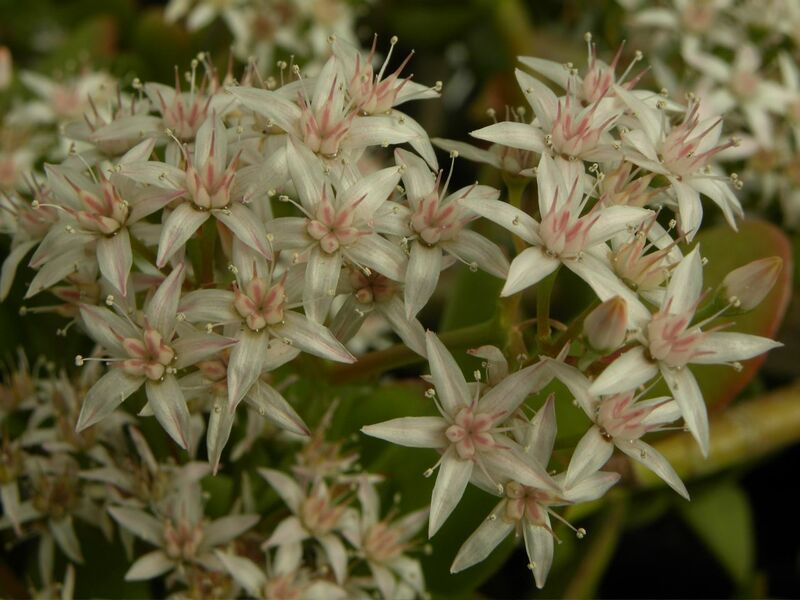 We have a category of iffy sedums (not consistently hardy but available locally). The information should be of interest both to those who wish to xeriscape with plants that are not prickly and to persons drawn to esoteric and rare plants. May 16, 2014 Rich Reif presented the program - Flora and Fauna of Australia Australia is reported to be the most desired of destinations for American travelers, but the least realized. Australia has a unique flora and fauna compared to what is familiar, perhaps as weird and alien as the cacti and other succulents from the old and new world that we admire. And, yes, cacti were mentioned. On March 22, 2014, we went on a field trip to Mesa Garden to see cacti and some mesembs in flower; see the picture gallery. February 18, 2014 Daniela Roth discussed the New Mexico Endangered Plant Program. She is currently the Endangered Plant Program Coordinator for the New Mexico State Forestry Division and the chair for the New Mexico Rare Plant Technical Council. She has worked with rare and endangered plants in the American Southwest for over 17 years, including 12 years on the Navajo Nation and 3 years for the U.S. Fish and Wildlife Service. Her presentation outlined the purpose and function of the New Mexico Endangered Plant Program and emphasized the work currently under way with endangered cacti of New Mexico. On January 17, 2014 We had program is about a recent trip to Madagascar by Woody Minnich which had the title "Madagascar - Land of the Giants ". The November 15, 2013 program helped our members, including newer ones, to understand what happens to the plants at our society's (April) show. (The same rules are used at the State Fair show.) The discussion included how plants are entered, labeled, displayed and judged. A panel of 3 experienced judges conducted an open panel judging of a number of plants that have been brought in for this purpose. See the Presenting Plants for Show article for our club's official rules. On October 8, 2013, we went on a field trip to Mesa Garden to see all the mesembs in flower. A picture gallery shows a few of the beautiful flowers and plants that we saw. We also had a great potluck dinner after spending time in the greenhouses. Steven and Linda Brack were great hosts -- Thank you! Friday June 21, 2013 Steven Brack presented a program on the flowers of hardy and near-hardy cacti showing the range of colors and forms you can expect from the huge variety of hardy cacti that can be grown in central NM. Friday May 17, 2013 The program, by Ralph Peters, focused on Adeniums and their cultivation. Adeniums combine eye-catching sculptural form with an abundance of showy flowers over a long period of time, typically from early May through early October in Albuquerque. Pictures, mature plants, and 3 month old seedlings showed off these interesting plants. Adenium seeds were available to allow attendees to grow their own. See the Adenium website for some beautiful examples. Friday, March 15, 2013 - The program was supplied by Ad Konings, a naturalist living in El Paso Tx and publisher of Cichlid Press. It was about the flora of the Franklin Mountains near El Paso, Tx and centered on cacti, agaves, and yuccas as well as wildflowers, reptiles, and insects. Part of the program also showed landscaping in urban areas and some areas of touristic interest. It provided ideas of what to see and do in this nearby region. Many of the cacti were shown in flower! February 15, 2013 - The program was The Great American Southwest by Woody Minnich. He discussed the seven most cactus and succulent rich states; Arizona, California, Colorado, Nevada, New Mexico, Texas and Utah and showed lots of beautiful photographs. January 18, 2013 We had a forum on greenhouses! Several club members talked about their greenhouses ? how they are built, how they are heated, cooled, what they grow in them, etc. People thinking about putting up a greenhouse heard information about types, designs, costs, benefits, problems... Current greenhouse owners picked up some tips & tricks from other owners. Nov 16, 2012 Steven Brack held a forum on outdoor cactus and succulent gardens in central NM. Speakers included Dan Finley and Ralph Peters of Albuquerque, and John Oberhausen of Santa Fe. They talked about setting up gardens, choosing the plants, and then the care of the garden after planting. Leo Chance from Colorado Springs, CO has recently published a book "Cacti and Succulents for Cold Climates". Leo spoke from 6:00pm to 7:00pm. Following his talk we had book sales and signing and a catered dinner. Panayoti Kelaidis is Senior Curator at the Denver Botanic Gardens and Director of Outreach; he has introduced many cacti and succulents for yard use. Panayoti spoke from 8:30pm to 9:30 pm on "Planning for the Cold Hardy Rock Garden". September 13-23, 2012 - No meeting! We had display at the Flower Building at the State Fair. Thanks to all the volunteers! 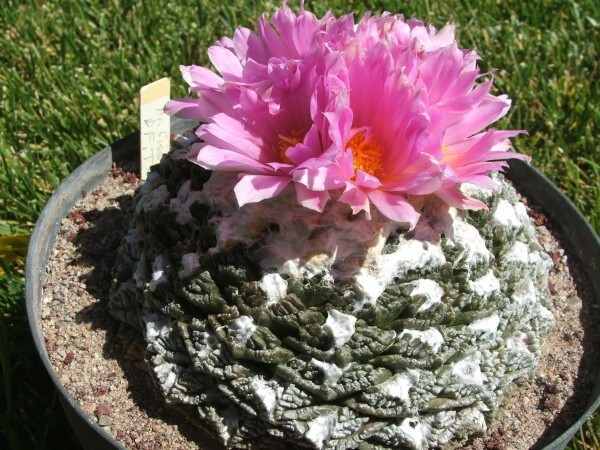 Friday, August 17, 2012 - The program was given by Steven Brack on Ariocarpus, Aztekiums and Lophophora of Northeast Mexico. It is based on a field trip by A Laras of Greece; he spent some weeks during October searching for these plants and found most of them in flower. There are lots of very nice habitat photos which are not commonly seen. June 15, 2012: Woody Minnich talked about Rio Grande Do Sul, Brazil. This region is the center of the distribution of the Parodias (Notocactus, Brasilicactus, Brasiliparodia, Malacocarpus and Eriocactus) and Fraileas as well as some of the Gymnocalyciums, Echinopsis, Bromeliads, other succulents and other unusual plants and animals. We visited Whitfield Wildlife area, along the Rio Grande in Belen, which is a great spot for birding, native bosque vegetation and a nice cactus garden in progress. Next, we visited Daniel and Socorro at their nursery, Rio Grande Cacti, south of Socorro along NM Hwy 1. They grow many kinds of hardy and native plants which were available for purchase. Finally, a nice picnic at the Bosque del Apache Wildlife refuge south of San Antonio. Near the picnic area is a very nice cactus garden with many plants in flower. We enjoyed the cactus garden and a visit the bosque with all the birds and other wildlife. Friday, March 16, 7 pm, at the Albuquerque Garden Center, 10120 Lomas NE. Sig Lodwig talked about Cactus flower in Mid Winter?, Yes many do! 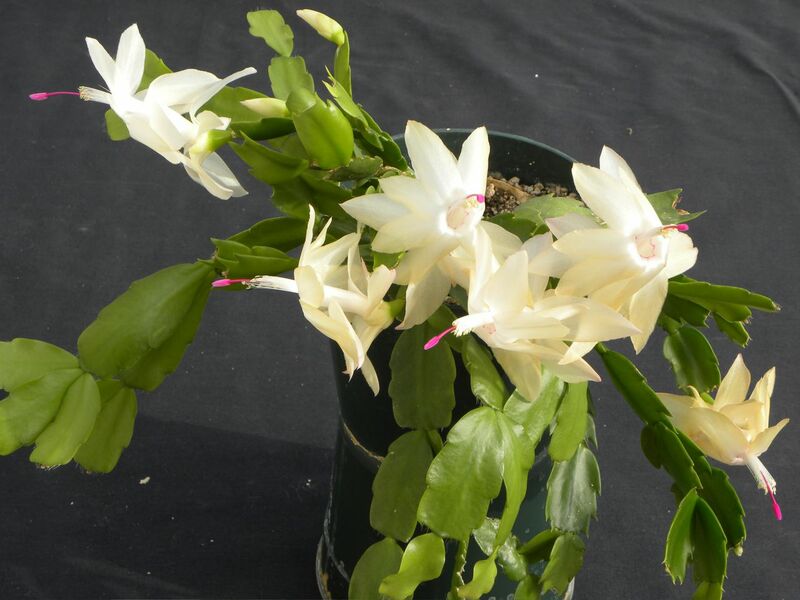 Sig is working on compiling data on flowering for many cacti, and showed a lot of kinds that flower in mid winter. 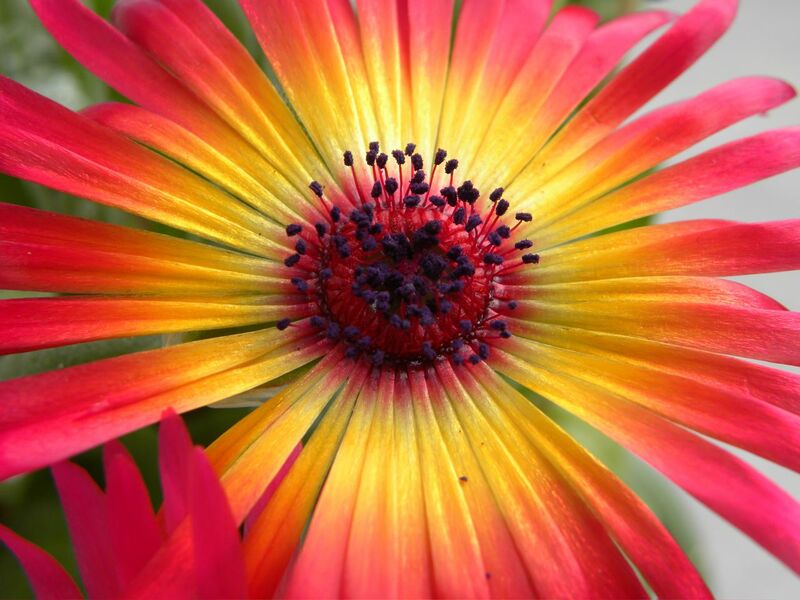 With a broad collection you can have plants in flower every day of the year. Jade plant (Crassula portulacea) Dorotheanthus bellidiformis. Nananthus aff. broomii. 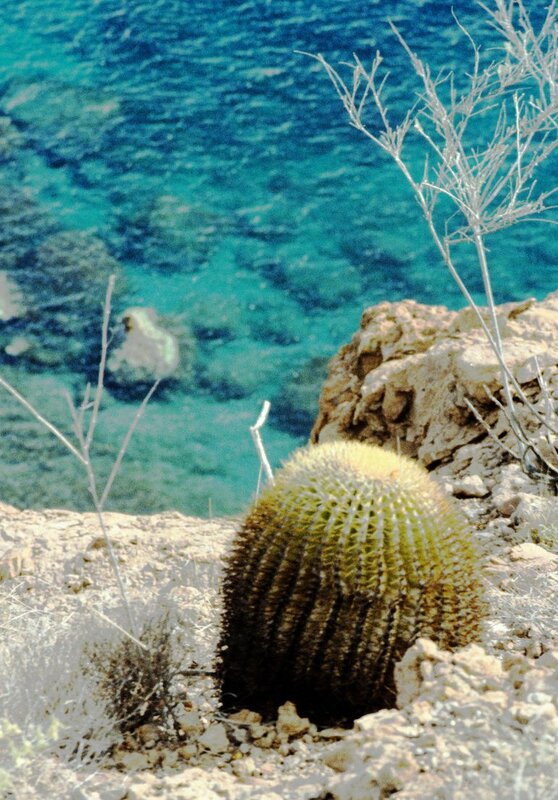 Ferocactus diguetii, in habitat on an island in the Gulf of California. 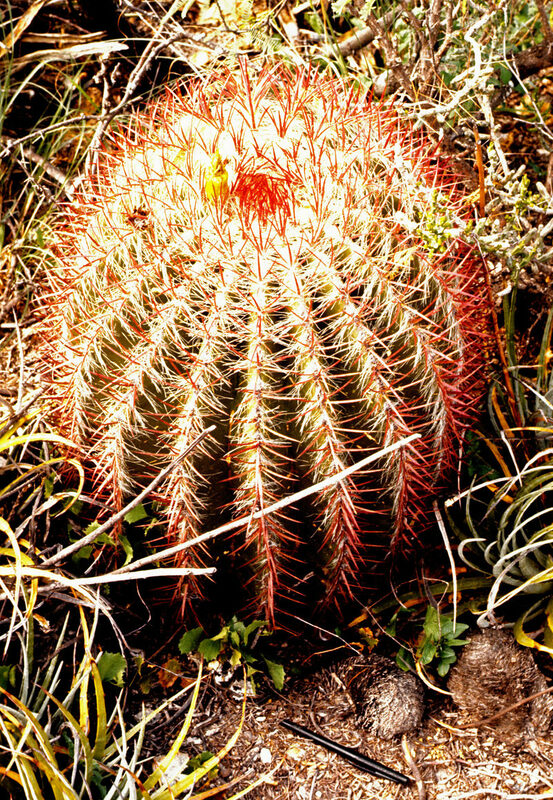 Ferocactus glaucescens, in association in habitat with Mammillaria geminispina, in "the Valley of the Old Men" in Mexico. Ferocactus lindsayi, growing in habitat along the Rio Infiernillo on the southern Pacific coast of Mexico. The ambient temperature was 97 degrees, and it was the very dead of winter. This is the trip that Steve Brack and I enjoyed together this last May. I suspect that between our two presentations we should cover everything that we did and saw and I am sure that our two styles will be very different. I can't wait to share my vision of our trip with Steve and I hope the club won't mind having me doing a second presentation. This should be a very entertaining talk and, as usual, I will include everything about Namibia from the people, animals, plants to the landscapes. Namibia a very beautiful and magical place. This will also be the first time showing the not so well known "sociable desert rats" also known as Team Namibia!?? Friday, November 18, 2011: Peru, from the Sea to the Sky by Woody Minnich. Peru is a country of strong contrasts. The coastal plain is very dry and foggy with many cacti. The dry west side of the Andes is filled with cacti, bromeliads, etc. The high Andes has freezing temps every night of the year and a host of remarkable plants. Off to the east lies the Amazon basin, a rain forest that has a few cacti and lots of orchids, bromeliads, etc. On Saturday, October 8, 2011 more than 20 people had a chance to tour the greenhouses at Mesa Garden, Belen NM, The primary draw for the trip were the flowering Mesembs. Thousands of plants were flowering! On Saturday, October 8, 2011 more than 20 people had a chance to tour the greenhouses at Mesa Garden, Belen NM, The primary draw for the trip were the flowering Mesembs that originate in South Africa and Namibia. A few pictures follow. Steve and group in a Mesem greenhouse Lithops hookeri flowers! Lithops verruculosa flowers! We had a great time! Thank-you Steve & Linda Brack for hosting this fantastic field trip! Friday, August 19, 2011 - Steven Brack had a presentation on his recent 3 week trip to Namibia in May this year. The first week was in the south and southwest which is mostly mesemb country with lots of Lithops, Conophytums and other small succulents like Othonna, Tylecodon and many Aloes. The final 2/3 of the trip was in the northern half of the country which is summer rainfall, rolling hills and low mountains covered with millions of Commiphora and other bonsai type trees. There are also many large caudex plants like Pachypodium, Adenia, Adenium and many others. Cyphostemma, in the grape family, form a small, very fat caudex to huge massive beasts that weigh tons. In the far north things get very wild, not an organized game park, but just wild with all the usual African animals and several tribes of people that have lived here for many thousands of years. One tribe is still primarily stone age, part hunter gatherers and part herders. Visiting Namibia is a nature lovers paradise, a huge set of plants, many animals, birds, insects, etc. It has huge areas of wild wilderness, with a slight risk from malaria and lions. June 17, 2011 - Ralph Peters discussed 2 recent trips to Big Bend Ranch State Park in Texas slightly west of Big Bend National Park. The geology is fantastic including Solitario and there are many interesting and unique cacti too! Echinocereus viridiflorus v. canus is found only in Solitario. May 20, 2011 - Sig Lodwig talked about the Big Bend National Park in flower. He saw lots of wildflowers and many species of cacti in flower too! April 9 and 10, 2011 - Spring Show and Sale at the Albuquerque Garden Center at 10120 Lomas NE. The Show and Sale was open from 10:00 AM until 4:00 PM on Saturday and Sunday. 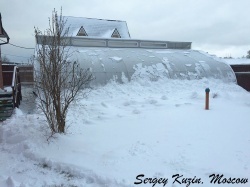 February and March 2011 - Discussion of the extremely cold weather (-10 F and colder) and its effect on landscape and greenhouse plants. November 2010 - A slide show of a fantastic cactus and succulent plant garden in the Andes was the topic of the presentation. August 2010 Greg Smith discussed growing plants from seeds which was followed by a seed planting lab. Saturday, June 5, 2010 Santa Fe and Los Alamos field trip! We visited the community garden (including cacti & succulents) that John Oberhauser has organised. Sig Lodwig in Los Alamos invited us up for a visit to his marvelous greenhouse and garden. May 2010 - Jean Brody--"Travels through Maya County". February 2010 - Guillermo Rivera presented a talk on the cacti and bromeliads of Peru, wonderful ancient archeological ruins like Machu Picchu and fantastic scenic areas. January 2010 - Sig Lodwig likes to have some plants blooming every month (day?) of the year! He talked about his choices for free-flowering cactus and succulent plants and how he grows them. November 2009 - The program showed an outdoor cactus and succulent garden in Colorado Springs. 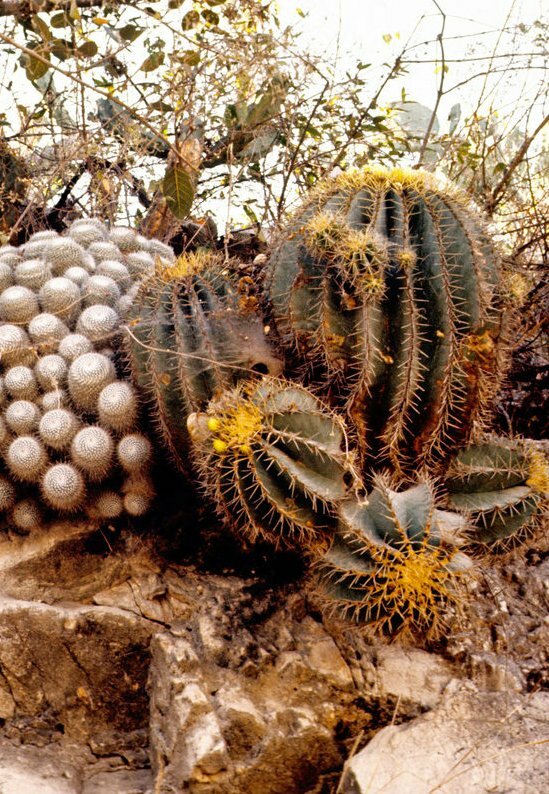 Leo Chance has packed his yard with many surprising cacti including surpises like Lobivias, Mammillarias, Notocactus, Gymnocalycium, and Echinocereus. Surprising succulents include Lithops, Othonnas, Euphorbias, and many other mesembs and South Africa material. The photos taken are very impressive, with many plants in flower, so very pretty. October 2009 - John Oberhausen talked about the CommunityGarden/Outdoor classroom at the Eldorado School Community Garden in SE Santa Fe. Many species of cacti and succulents can be grown in this cold climate! The cactus garden has received support from the CSSNM. August 2009 The Jewel Cacti of Mexico Woody Minnich talked about all the miniature "gems" native to Mexico; cacti like Turbinicarpus, Epithelantha, Ariocarpus, and many tiny Mammillarias. They are all the tiny cacti that hide so well from view. He showed photos taken in nature so you could really see what they should look like. June 2009 Spring in South Africa, Steve Brack discussed his trip to South Africa in August 2008. Because of good rains, masses of wild flowers covered the landscape. Daniel Finley discussed the habitat (and some cultivated) photos of many succulent plants, especially cacti (endemic to the western hemisphere). Interspersed among the pictures are some discussions about their origins, unusual metabolism, distribution, and lifestyles, as well as Latin names, but no exams. February 2009: Ralph Peters discussed a backpacking trip into the Grand Canyon last April. Many plants were growing and flowering including fields of sego lilies, agaves, opuntias, Echinocereus engelmanii, ....! The scenery is pretty nice too! January 2009: Our speaker Woody Minnich discussed a recent trip to Brazil and all the fantastic cacti and succulents in their dry regions. November 2008: A talk was given by Panayoti Kelaidis from the Denver Botanical Garden. He specializes is making outdoor rockeries using hardy succulents and cacti. His real emphasis is discovering new kinds of succulents (especially from Africa) that will grow outdoors in Denver.